"Nicely Done. For a guy who is trying to break into this licensing business, this provided a good grounding point. One part I found intriguing was the "cut and paste" approach to building a new song from old tracks. I hate to say this but I could hardly wait for the seminar to be over so I could try this approach... Pretty darn cool!" Learn How To Pay For Your Rent And Groceries With Passive Income Generated By Licensing Your Music With Stock Music Libraries! How To Generate Thousands Of Dollars Creating Short Three Second "Stingers"
"How To Make Money With Stock Music Libraries" is a 100 minute course taught by the Canadian musician Aaron Saloman and faciliated by Aaron Davison. The course is instantly accessible online and features a 100 minute hour audio, multiple samples of tracks Aaron has licensed, a stock music library contact section and more. 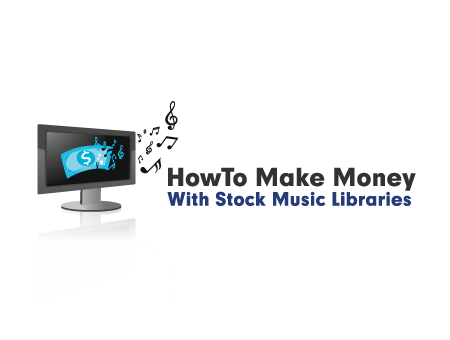 The course features the most in depth information related specifically to making money with stock music libraries available. Gourmet Adventures with Ruth (PBS), to name just a few. hotbed of Montréal, QC, Canada. 1) 100 minute audio course - stream online or download to listen when and where you'd like. 2) Samples of Aaron's songs that he's licensed. Listen to the songs that sell the best and earn Aaron the most. 3) Free resource section listing different music libraries you can get started with. 4) Screen shots of exact editing techniques Aaron uses to create clean stock music edits. Just $39.97 Until June 9th, 2013!